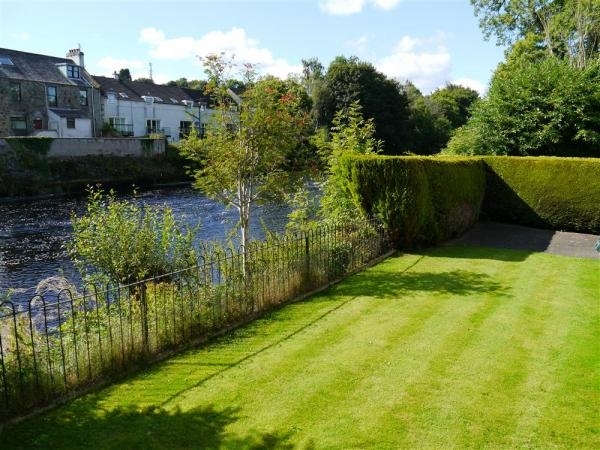 Sitting on the banks of the River Cree Hazelbank combines spacious family accommodation in a safe waterside location with an attractive, private garden to the front with the rear garden enclosed with fencing along the riverside. 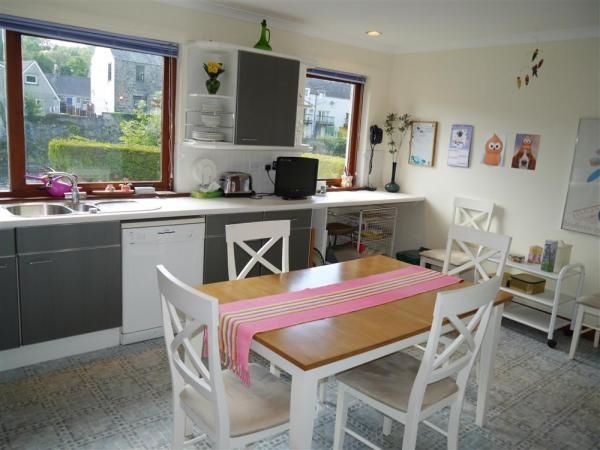 The house is conveniently located within walking distance of the centre of Newton Stewart which provides a variety of hotels, cafes and shops. 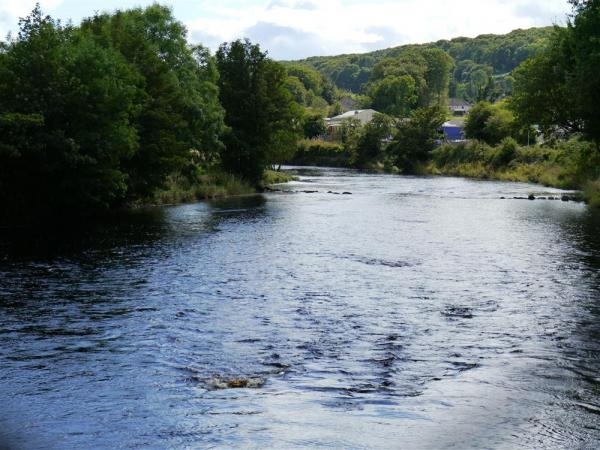 The popular Cree Bridge Hotel with restaurant is within a five minute walk of the cottage. 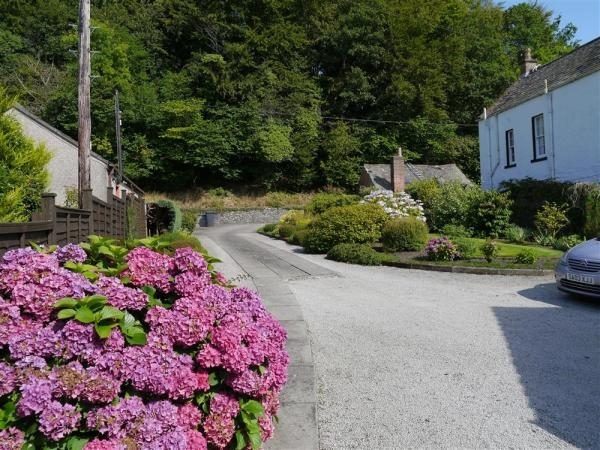 The cottage offers excellent opportunities for woodland and hill walking, plus cycling almost on the doorstep. 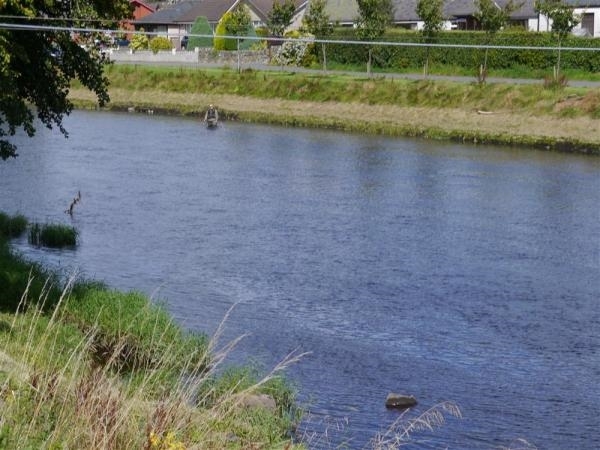 There is a fisherman's path beside the house to the river and other fishing can be found in th local area. 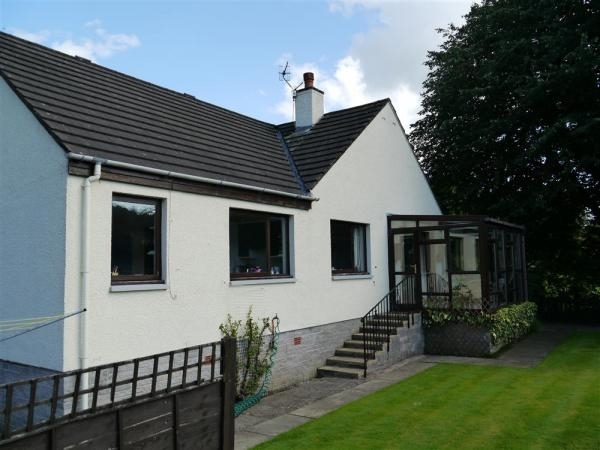 Galloway Forest Park (designated Britain's first Dark Skies Park) is located nearby offering unsurpassed star gazing opportunities and one of the stages of the 7Stanes mountain bike network is within a five minute drive of the cottage. 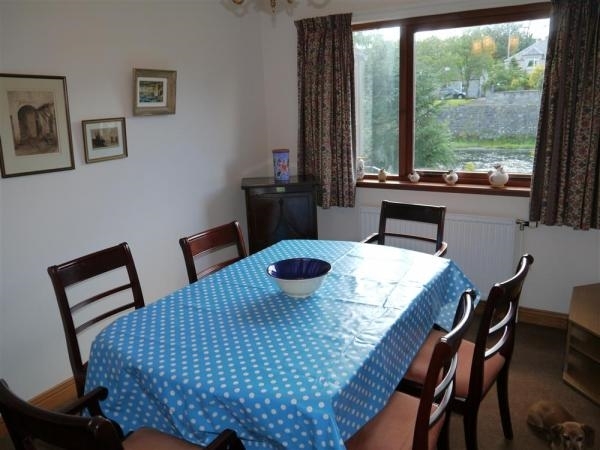 Minnigaff has an excellent 18 hole golf course and other sporting facilities, including game, coarse and sea fishing, are all available nearby. A £50 discount will be applied to bookings for any two consecutive weeks or for parties of 2 or less. (Offers cannot be used in conjunction with each other). 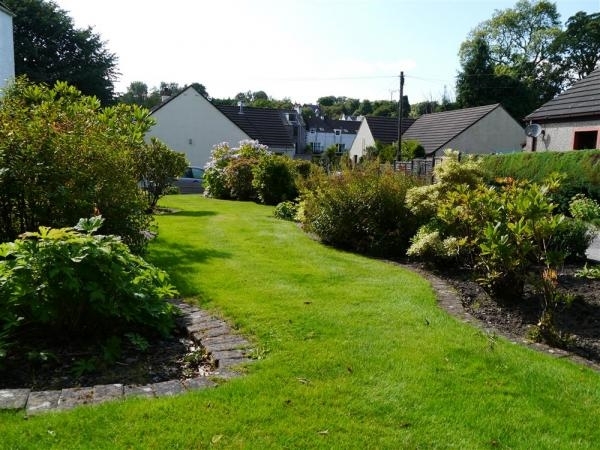 'Helen's house was the perfect location for cycling at Kirroughtree just outside Newton Stewart and was a lovely warm house to come back to every day. 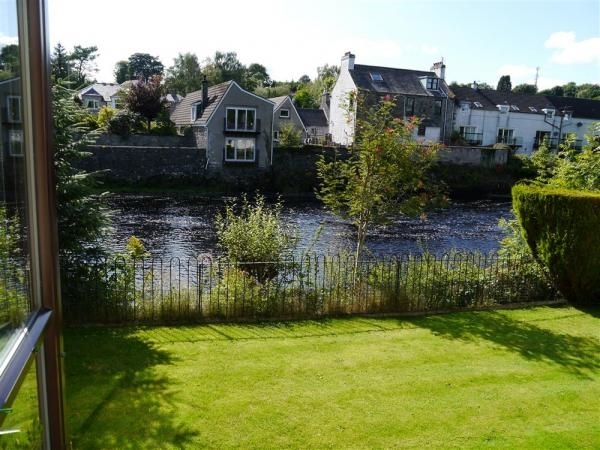 Comfortable beds, lovely kitchen with lovely view of the river and lovely garden and just round the corner from good pub/restaurant and supermarkets. We had a great week.' Leona. 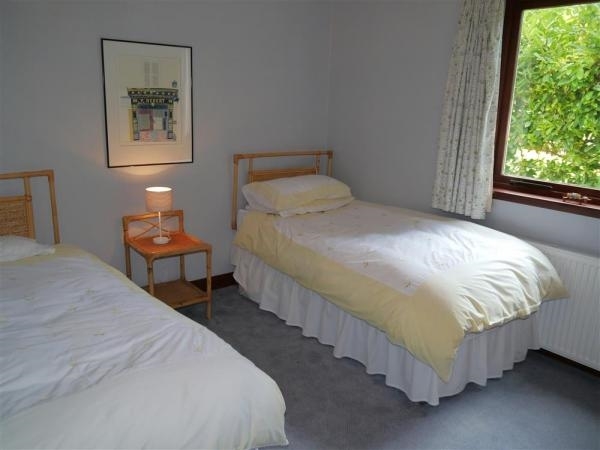 'We had a fantastic stay at Hazelbank House. 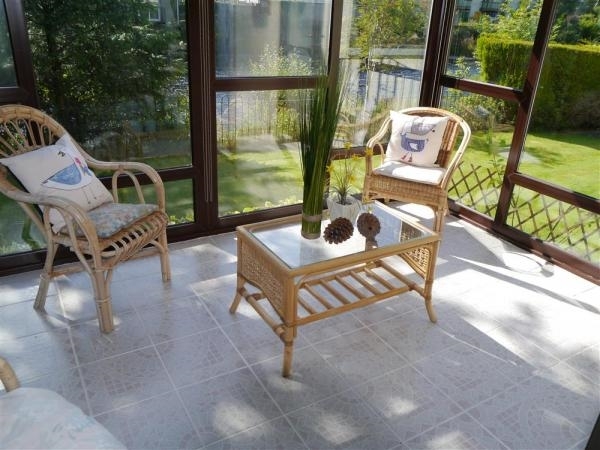 The house was immaculate and in a great location for local shops and a really lovely pub (staff were SO friendly!) serving quality food and offering open fires and a chap playing the bagpipes! The perfect pub! The River Cree that runs along the bottom of the garden is stunning in the sunlight. 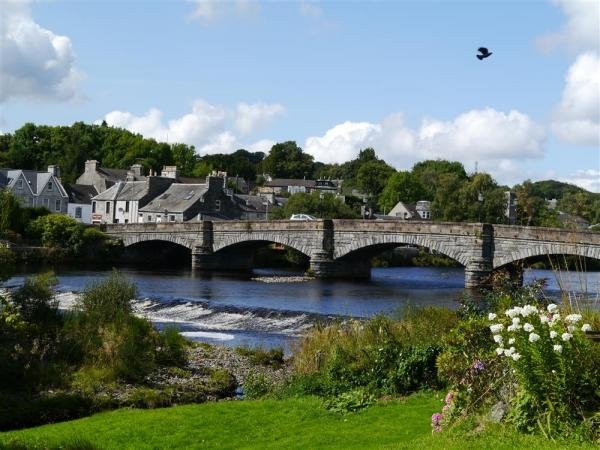 It's a pretty village and close to lots of beautiful walks and scenery. Galloway Forest Park was a real treat. We didn't manage the dark skies this year as we had the toddler with us. The forest in the daylight is really beautiful and there's plenty to explore. We stayed there over the New Year period and Helen was generous with her communications with me, despite being in Oxford at the time. 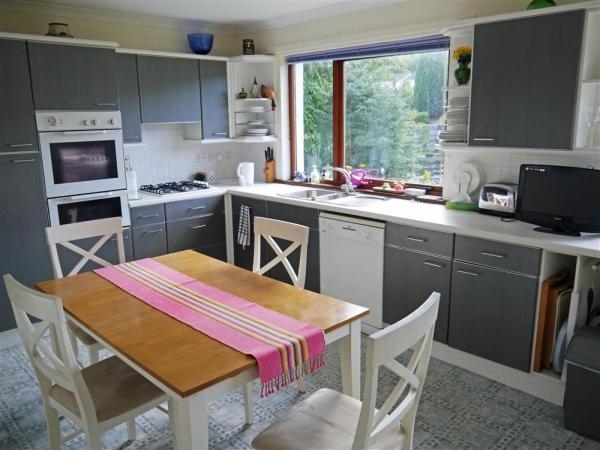 The house had everything we needed, including a well equipped kitchen which was perfect as we wanted to cook most meals at home. We had a dog with us and a toddler but it didn't feel cramped at all. 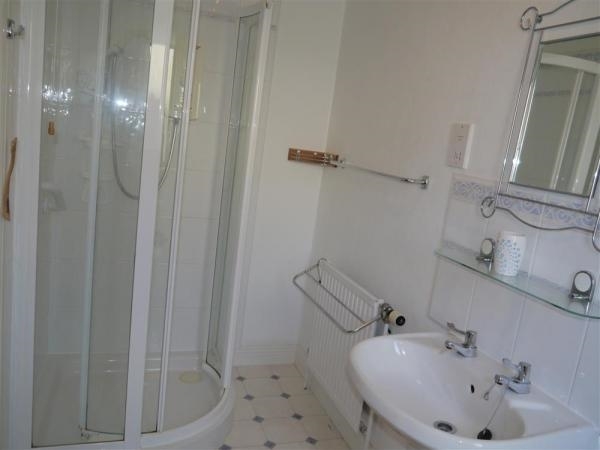 The house is nicely spaced out and on one floor which was perfect as it was safe for the toddler. This place is a real bargain! Perfect for families.' Mary. 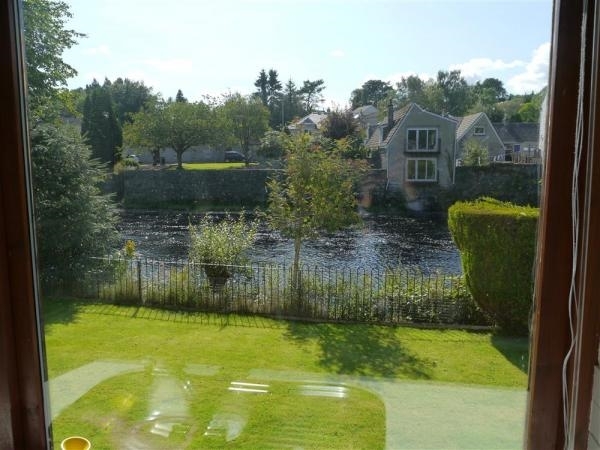 'Hazelbank is a beautiful cottage surrounded by well maintained gardens over looking the River Cree. 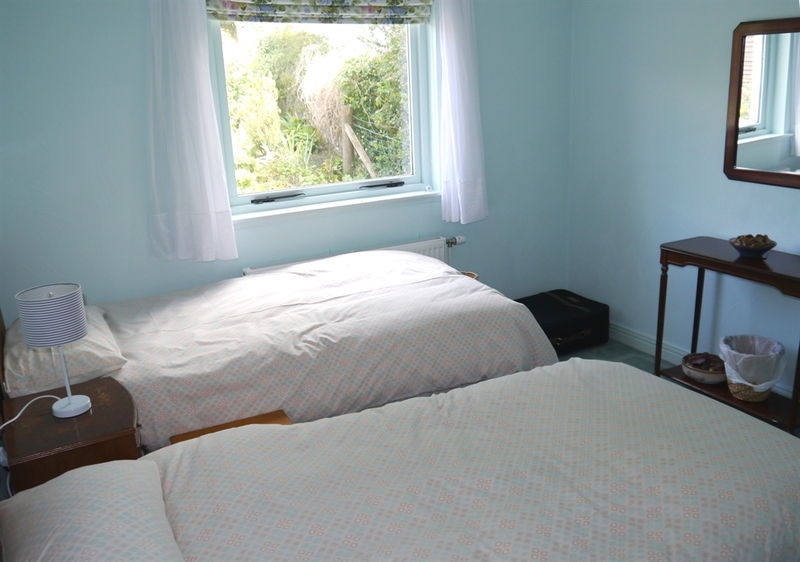 Our host was fabulous and accommodated our every need and ensured we had a pleasant stay. The location is perfect for all amenities and is great for those days out on the mountain bikes. 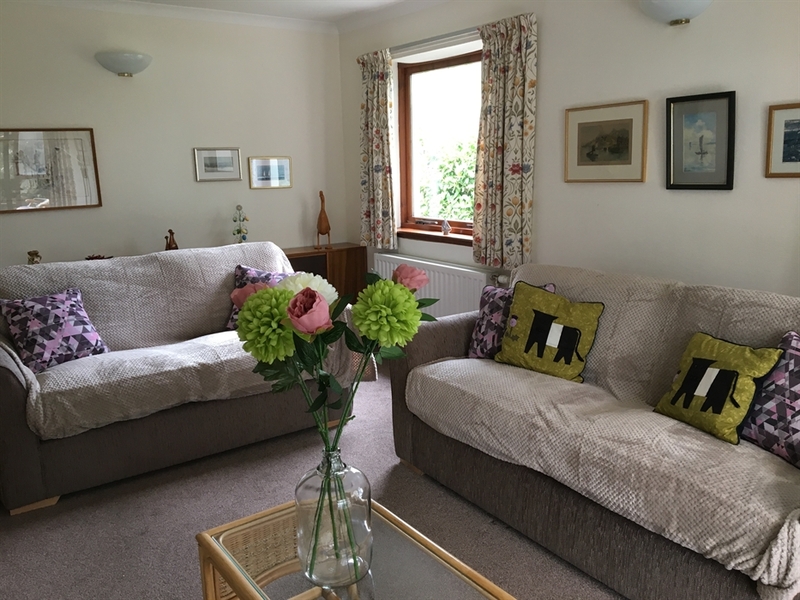 Thoroughly enjoyed our pre Easter stay and is a real home from home whilst we work in the local area.' Kelly. 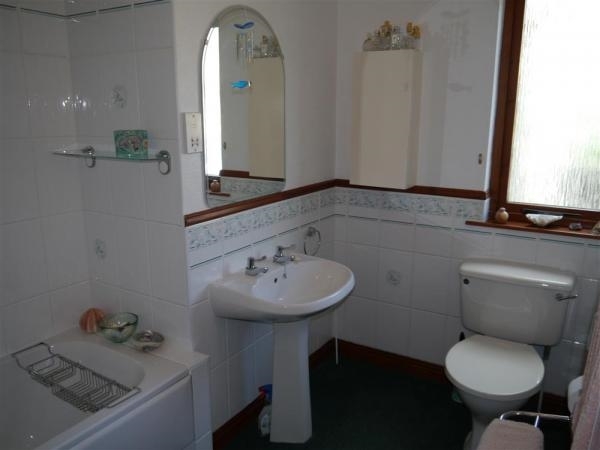 Accommodation:- Sitting room; sun conservatory; cloakroom; kitchen/dining room; utility room; separate dining room; 1 double bedroom with ensuite shower room comprising of shower, toilet and wash basin; 2 twin bedrooms; family bathroom with over shower bath. Services: Central heating * Living Flame gas fire (gas included) * Bed linen (but not towels) are provided * Washing machine * Drier * Dishwasher * Fridge * Freezer * Microwave * Mobile reception * Colour TV * CD Player * Parking * Enclosed garden * Garden furniture * Patio * Bicycle storage * Wifi * Pets welcome. Extras: £20 per dog/week; If required mid holiday cleaning service £65.